Conscious reality is about the evolution of consciousness in the alchemy of time. To become fully consciousness, is to remember who you are as a being of light, why you are here, and where we are going as dictated by the collective unconscious that creates the programs of realities through which your soul experiences simultaneously. Rene Descartes said, “Cogito, ergo sum” — “I think, therefore I am.” He was correct. Consciousness arises as an emergent property of the human mind. Yet basic questions about the precise timing, location and dynamics of the neural event(s) allowing conscious access to information are not clearly and unequivocally determined. Consciousness is all and everything in the virtual hologram of our experiences brought into awareness by the brain – an electrochemical machine forever viewing streaming codes for experience and interpretation. Consciousness originates from a source of light energy for the purpose of learning. The human bio-genetic experiment is consciousness brought forth into the physical by the patterns of Sacred geometry that repeat in cycles called Time. Channeling is a means of communicating with consciousness the ‘I Am Presence’ within you, ‘That’ which is non-physical. The consciousness that you are a part of, not a part from. This is the hardest to comprehend, as you are in the physical perceiving the ‘Self’ as a body. Although most people believe that they are channeling an aspect of some other being, or entity from another realm. Whether you are consciously aware or not everyone is channeling all the time. This is known as the ‘Divine Intervention’ most of the time people are not even aware that they are being guided, and thus when they become aware of the guidance they presume that it’s a ‘miracle’. Consciousness is ever expressing itself through the aspect of the self that you believe your-self to be separate from. The belief of separation is embedded simply because there are inhibitions and limitations of what is considered ‘Unknown’. The Soul, Spirit, Self is ever connected to the Source inseparably. ‘The drop from the Ocean is no less Ocean’! What do you understand!, read it out again and listen to your-self. ‘The ideal of believing that you are channeling some super-natural being or entity in another realm of consciousness that you are separated from is just that, a belief !’. We will give you an example: A seed contains the whole aspect of the tree and life within itself to re-birth, so does the aspect of that which is experiencing itself through the form that which you call yourself by name. You are a part of the whole, that which you seek outside the self. There is an eternal connectedness within all consciousness through the ‘I Am Presence’ that is ever present within all of life. That which is ever giving of itself from the formless, through all the forms. Channeling, in any form, is a matter focusing one’s consciousness, as if plugging into a switchboard, or circuit board, to receive information. We do it all the time. You plug in, receive the same information as anyone else who plugs into that grid frequency. Channeling is a means of communicating with any consciousness that is not in physical form by allowing that consciousness to express itself through the channel (or channeler). We live in a multidimensional universe. The physical plane is only the first (and most dense) of seven planes. The next plane is the astral; we dwell on the lower astral plane before birth and after death. The other planes are the causal, Akashic, Mental, Messianic, and Buddha. The planes are discussed in detail in the article, “Planes of Creation.” For now, let’s just say that these planes aren’t really separate from our lives here on the physical plane. Through channeling, we can make conscious contact with higher planes. We can also communicate with beings who are physical but nonhuman, such as Deva’s (nature spirits), dolphins and whales, and extraterrestrials. 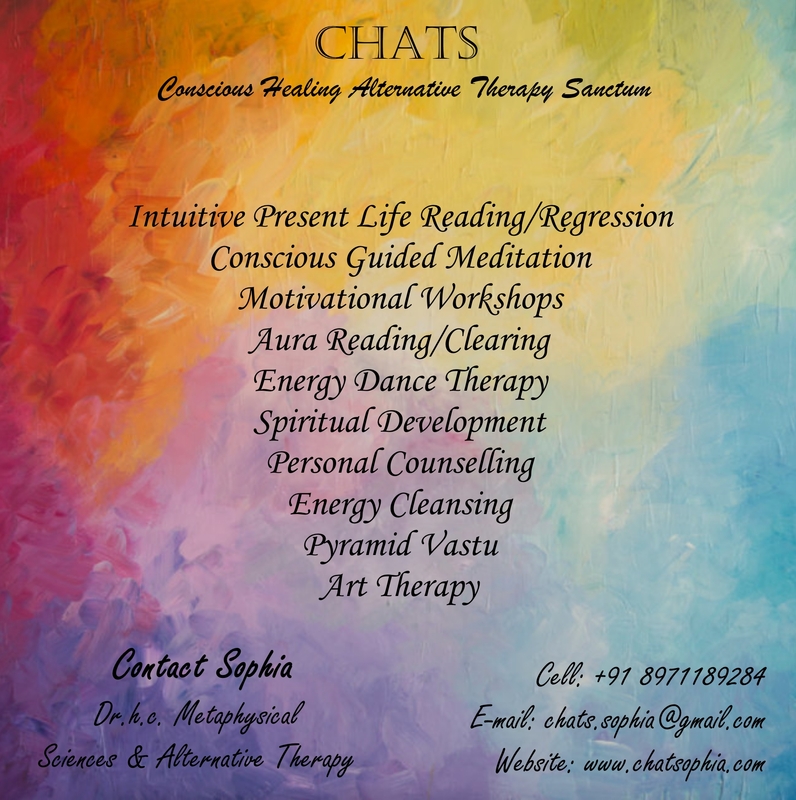 Most commonly, the term channeling refers to communication with spirit guides, who are astral, and with high-plane teachers, through connected consciousness in the collective, who are on planes above the astral. Although the universe contains an infinite variety of consciousness that could theoretically be channeled, in practice channels usually tune in to that with which they have a meaningful connection and which is well-suited to the channeling process. There is much about the process of spiritual channeling that is unknown or difficult to put into words, and each experience of it is unique, but some generalizations can be made. Channeling occurs through the “higher centers,” which are dormant in most of us but which can be opened with practice. Higher centers are the parts of us that can connect with universal love, truth, and kinetic energy. They are like radios that can be tuned in to the frequency of the channeled entity. The “signal” is generally received first by the Crown Chakra. In verbal channeling, it then stimulates the sixth chakra (the third eye) and the brain, searching the subconscious for correlating words. Either the entity, the channel, or both, working together in cooperation, select the specific words that seem to best express the thoughts. Even if the entity selects the words, the channel doesn’t usually experience this as hearing external voices; it has the sound of his own thoughts, since channeled entities do not have physical voices. This is not unlike the process by which we translate our own thoughts into words, except that it is more difficult, because someone’s thoughts are being translated through the channel. By definition, teachers from higher planes work more with the invisible aspects of things, and come at information differently than we do. They often seem to “spiral in” to core insights, gradually unveiling one layer after another, like peeling an onion, rather than coming up with an instant analysis of what is occurring. This is a delicate process, an art as well as a science. Some people channel or at least “tune in” to higher sources without being aware of it. They assume that the thoughts they are having are their own when that is not totally the case. This can account for several people coming up with a similar invention or song, for instance, at the same time–a higher-plane source is trying to get his idea to the physical plane and works with several people simultaneously, perhaps hoping that at least one of them will make it available to others. Not all inspiration comes from channeling, since we are each creative beings in our own right, but most creation involves some kind of collaboration. We receive more help than we realize. Conscious channeling is a simple matter of dictation–that if Collective consciousness communicate something, it should sound the same no matter who the channel is. However, experience has taught me that channeling is a much more complex phenomenon. I now see it as collaboration, with many variables. Being physical, we lack the “equipment” to fully and truly understand what is not physical Until we ourselves are nonphysical, we will not be able to fully comprehend how spiritual channeling really works, who or what Consciousness actually is, and many other things. Even regarding physical phenomena, science purports to explain many things that are not truly understood. Do we really comprehend photosynthesis, for example? We may appreciate an explanation of the mechanics, which may or may not be fairly accurate–science is always changing its mind–but surely that is not the whole picture. It is good to maintain a healthy appreciation of mystery. I am not suggesting blind faith or belief, but an awareness of the vastness of life. Channeling is similar to learning a language: almost anyone who applies the self can learn to do it, at least a little, and even a casual study of it can be enriching. However, learning to do it well requires a lot of energy and commitment, and obviously, it comes more easily to some people than to others. Furthering our skills in this lifetime, whatever they are, can lead to being born with more “talent” in those areas in future lifetimes. We plan each lifetime before it begins. If we desire to channel during that lifetime, we usually make agreements to do so with the particular source(s) we wish to channel, and plan the timing and the form of the channeling we will do so that it supports our life task. We can design our over leaves and even our body to facilitate channeling. Some channels have idiosyncratic bodies for this reason. Not everyone who channels planned to do so before his lifetime began, but someone is not likely to be motivated to invest the energy to learn to channel well unless channeling fits somehow in his life plan. Channeling is usually not of strong interest to the soul until the mature and old soul ages, because before that, our lessons emphasize external factors. If channeling is part of someone’s life plan, much preparation may occur on both conscious and unconscious levels during the channel’s lifetime before he begins to channel. Not coincidentally, I began channeling shortly after completing a year of intense emotional catharsis and healing, working with someone who was both a therapist and a psychic—You needed to empty Your “vessel” of old baggage before I could become a clear channel. I am what is called a “heart channel”–the heart is where integration occurs. I set it up in my life plan to do channeling that incorporates words, energy, and sometimes emotion to help others not only have intellectual clarity, but to integrate what is being discussed into all levels of self. “Conscious channeling coaching” is available for those who are interested in learning to channel and require support in any area they are pursuing in the being-ness. The connection is eternal through the “I Am Presence” that is ever present within the collective consciousness. In most cases you are not consciously aware of this connection that is ever guiding you as you have not consciously experienced it. As It has been said that in order to understand anything you have to experience and validate ‘Your-truth’, within that experience consciously. You are also guide through the process a step at a time, offering guidance as an Intuitive Conscious Life Coach, what Is observed or being guided by your guides. When beginning, you are guided to experience consciously the ever present connectedness that you may only theoretically know yet have not experienced it as ‘soul, spirit, and consciousness, divine. The continuous process is in understanding that you are not alone, and every aspect within life is ever connected. For those who are learning to channel is simply to learn, know and understand that taking everything they get with a grain of salt without worrying too much about accuracy. It’s like sketching in an art class, not being concerned about a final product at that stage. What Is The Collective Consciousness? The Collective Consciousness is ‘The All In All, In The , ‘ I Am That’ , ‘I Am What I Am’ as professed in all Scriptures. Perceived as existing in some realm outside the Self. Sought after in the separateness, existing in the collective within all of life, in one word ‘Existence’, As the ‘Alpha and Omega’. Only defined in words without comprehending the whole. The ‘Omega’ Is a ‘Continuum’ in the ‘Aum”, which has no barring on the platform of organized religions. Spirit expresses Itself through the connected vibrational sound resonating with the vibration of what is perceived as the Universe out-there, whilst that universe is within every aspect of life for It is Life It-self. The Spirit Is expressing It-self, in being all that which It is in all being-ness. It is not contained in the ‘conditioned, It is ‘unconditional’. One does not have to belong to a certain denomination to understand that sound is vibrational, as sound is in every aspect of that which is considered ‘alive’ and that which in turn is considered ‘life-less’, is not lacking the vibration of sound just because it cannot be heard. You can only claim your truth that you are alive, because you believe that you know this for a fact because you are mobile in the physical. You are an eternal aspect that is the source through which your physicality has mobility. Among the quest-ions asked, have you asked your-self what is sustaining your physicality on this physical plane, you call ‘earth’.! Or more as through time the repeated question has been to ask yourself, ‘Who Am I’? Theoretically there is much in print, that lacks the validation of experiencing your truths. Can you candidly say ‘Who You Are Not’! or more simplified, in the ‘that which you are’ and that which you are not’. If earnestly in truth you know who you are, then you would know right! you would not be ‘trying’, to be that which you know you are, unless you do not know who you are, and are trying to be that which you believe yourself not to be, and you are trying to be that which in turn you believe yourself not to be’. “Who Are you ” and “Who are you not”, ‘What are you”, and “What are you not”? that is the question: and in between the quest there lies the answer, ‘We ‘, say unto you. ” Unquote. “The answer is contained in the question’. God: Hello! You called me. I, Me, Myself: Called you? No, who is this? IMM: Sure, I pray. Just makes me feel good. Actually, am busy now. In the midst of something, you know. G: What are you busy with? Ants are busy too. IMM: Don’t know. But I can’t find free time. Life has become hectic. It’s rush hour all the time. G: Sure. Activity gets you busy, but productivity gets you results. YOU to buzz me on instant messaging chat. IMM: Tell me, why has life become so complicated? IMM: Why are we so constantly unhappy? IMM: But how can we not worry when there is so much uncertainty? G: Uncertainty is inevitable, but worrying is optional. IMM: But then, there is so much pain due to uncertainty. G: Pain is inevitable, but suffering is optional. IMM: If suffering is optional, why do good people always suffer? Purified without fire. Good people go through trails. With that experience,Their life becomes better not bitter. IMM: You mean to say, such experience is useful? IMM: But still, why should we go through such tests and trails? Why can’t we be free from problems? Endurance, not when you are free from problems. Provide sight. Heart provides insight. G: Success is relative, quantified by others. Satisfaction is absolute, quantified by you. Knowing the road ahead is more satisfying than knowing you rode ahead. IMM: Sometimes I ask, who am I, why am I here? I don’t know the answers. G: Seek not to find who you are, but to determine who you want to be. Stop looking for a purpose as to why you are here. Create it. Life is not a process of discovery but a process of creation. IMM:How can I get the best out of life? G: Face your past without regret. Handle your present with confidence. IMM: Sometimes, my prayers are not answered. G: There are no unanswered prayers. At times, the answer is NO. IMM: Thank you for this wonderful chat. I’ll try to be less fearful. A problem to resolve. Life is wonderful if you know how to live. When a planet is set aside as an experiment for polarity integration, there exists and unique opportunity for all. This world is set aside as a place where individuals can work out their differences free of the memories that created the conflicts. A veil of amnesia provides the means. Many people from other world have come to Earth for this purpose. With them they carry the last hope of their people, the last chance to save their worlds from demise. These are the star seeds and walk-ins. They will give of their expertise in order to have the opportunity to find the solution they require. This is why we say, you are the hope of the universe. Below are descriptions of star seeds, walk-ins and light workers. Walk-ins are people from other dimensions who have walked in to the body of a person on earth. In all cases there is a per-birth contract for this to occur. In addition to glowing balls, Orbs can appear in a rainbow of colors. Barely physical, their bodies can be described as bubbles of energy. Scientists, who have researched Orbs, believe their body is made of dense groupings of charged particles called plasma. This could mean that Orbs are the simplest sentient beings in the Universe. In regards to polarity, Light/Dark, they appear to be polarized to the Light. Orbs feel and express “Light” feelings of love, happiness, bliss, and joy, etc. Their bodies are so fragile and sensitive that they are incapable of processing “Dark” feelings of pain and anger. Just witnessing a conflict can hurt them. Not being able to fully experience “Dark” feelings they are quite innocent in nature. Orbs are like children who never grow up. This, of course, is evident in their bubbly outgoing demeanor and child-like naiveté. They are very playful, inquisitive, and love to explore. Through a form of research that I call, “timeline work”, in which I use my psychic abilities to tap into alternate timelines, I discovered that like other societies that have polarized to the Light, Orbs live in collectives. A collective society functions as a unified consciousness. The minds and emotions of each member are linked so that everyone can experience what the others are thinking and feeling. This connection creates a peaceful and harmonious society but at the expense of free will and individuality. The Orb belief system states each member of the collective exists to serve others not only in their own species but in the galactic community at large. Serving others is an important form of soul growth. One of the ways that Orbs serve their galactic neighbors is by using their capability for inter dimensional travel to act as windows into other dimensions. In essence, they provide a telescopic view into another world. For example when we see Orbs in photographs, many times they are there acting as a window for someone in another dimension. In this capacity Orbs are like historians, recording events as they play out. Due to their preference for living in groups, when serving within civilian populations, Orbs adapt well to family life. They can be employed as companions to single or aging people, or playmates to small children. In some cases, they are the childcare provider, giving the parents remote visual access to their child via their ability to be in two places at once. Imagine yourself as parent and on your desk at work sits an Orb. When you look at it much like peering into a crystal ball or TV, you can see a real time picture of your child at play. Orb’s abilities are also used within religious or spiritual groups wherein they act similar to crystal balls, allowing individuals to see past or future timelines. There are societies in existence that worship Orbs as gods because of the vast amounts of wisdom they possess from their service within many different cultures on many different worlds. Like many other galactic races, Orbs have sent members of their society to represent them as starseeds on Earth. These souls have agreed to incarnate as humans on Earth to aid this planet and themselves. Below are the characteristics that I’ve found to indicate an Orb starseed. A common health issue is severe allergies. Described as sweet, cute, naive, and/or child-like. Tend to be very well-mannered and obedient. Tend to be very private, quiet, shy and introverted. Are great observers and are very creative individuals. Learn by observing others and repeating what they are trying to learn. Tend to be followers rather than leaders. Can seem ungrounded or detached. React to situations passively and let others take advantage of them. Tend to ignore or run away from pain. Being very playful and inquisitive individuals, Orb Starseeds are here to show others how to remain open to the magic of life which keeps our creative juices alive. They teach us to observe life, as a child does, examining and playing with everything possible, remaining open to the miracles of life. Additionally, Orb Starseeds are here to help us understand the Universe in a new way. They are here to teach us about the oneness of life. Although individual aspects of life appear separate from each other, Orb Starseeds see all life existing as a unified whole. They live each day in respect and with empathy for all living things, as ones actions can influence the life of another in unknowable ways. The Orb Starseed’s goal is to learn to embrace individuality and the full range of “Dark” feelings that come with it, a trait they have not yet developed. This means that they need to learn how to make their own choices rather than follow the pack. To do so they must embrace the idea that having thoughts, beliefs, and desires that are outside of the norm or status quo are okay. Further, they must learn to establish healthy boundaries or limits on how much they give and serve others. In other words, they must become healthily selfish. Coming from a belief that states that their worth depends on how and to what extent they serves others; this is not an easy change to make. Additionally, understanding the value in pain is particularly difficult for them. The Orb body is nowhere near capable of withstanding the amount of pain that a human body can! Without boundaries, one does not feel safe. Instead of setting the boundaries to make it safe to feel and express emotions, these individuals may find any number of ways to ignore them and escape pain. Their daily activities, such as studying, playing music and even eating, become modes of escape rather than a source of enjoyment. Living in such a way can leave one feeling very depleted and unhappy with their life. They may manifest any number of emotional or physical challenges that aid them in learning to set boundaries. The most common emotional issues for Orb star-seeds are in the social realm. In facing fears and the possibility of pain they distance themselves from others and become reclusive rather than playful individuals. Without boundaries, they can end up in codependent relationships in which actions are taken to please others rather than ones self. In such relationships they try to rescue others from their pain or let others take advantage of them. While taking care of others, as Orbs are programmed to do, they deny their own needs. When their fear of feeling pain and “Dark” feelings becomes the predominant focus in their lives, they will manifest this need through developing severe allergic reactions to others and to their environment in general. Many Orbs experience multiple allergies to foods, chemicals, dust, and even people! Allergies are the subconscious’s way of saying that it feels unsafe with its life choices. By setting personal boundaries an Orb starseed can learn to have self-love, joy, and compassion in ways they never had before. We in the whole as understood is defined collectively, as you would in a group of more, though – in several ages and in different worlds- you have absorbed that eagerness of investigation based every time in order to excel more as human beings or as another type of beings in other worlds within the worlds of your realities. Always in terms of being able to offer the best thing to each civilization so that you can accept or not, within the application of your freewill and choice what one is going to offer. Because in this time we were lucubrating on the topic of “Chaos”. On what is relatively understood as terrestrial world most of the people have a confusing concept of what Chaos means, they represent it like a whirlpool, like completed entropy, like everything that is destroyed, the opposite of order, destruction. It is based on some sentences, for example: He sowed chaos. This Room looks like chaos. Then, most of the people relate chaos with disorder, with destruction. -The battlefield was chaotic-. They relate it to death. In our humble opinion, lucubrating on the “Whole”, we reached the conclusion that Chaos is simply related to the “Nothingness”, related to what vacuum means. When each universe ends there is Chaos. A total lack of Everything. Not only lack of knowledge, but also lack of life, lack of light, lack of expansion, etc. there is a total lack of everything. There is no horizon of events, because there is no horizon. Everything is in a small point that for many it is even virtual, something that we totally deny. There is a tremendous energy condensation in each Big Crunch, but that doesn’t end up being a nonexistent point as some physicists have believed to see. And it is not true that it is a point with infinite matter, infinite mass and zero space. One would be so naive if one believes something like that. Firstly, it is not infinite matter. Secondly it’s not infinite mass either. And thirdly it’s not zero space. It occupies space. Anyway it is Chaos what surrounds that point. Most of the physicists,believe erroneously that when the universe is shrunk in that Big Crunch, Everything is shrunk. The Nothingness doesn’t shrink. And now we will explain the reason. Because when that universe in the end of the cycle contracts (there is an expansion and then a contraction), that contraction includes matter and energy, but not Chaos. That is to say, the Nothingness. What there is beyond because when there is a new cycle, there is a new Big Bang and that matter is manifested over something. When the physicists study the first minutes of this universe, they are meaning that the universe was expanding. What they never have said it -because they didn’t know it- is that it was expanding over… And not over something, but over the Nothingness, over the same Chaos. That leads us to think that today this gigantic universe still continues expanding over the Nothingness, which is what there is beyond the end of the same universe. …And why do I say the end? Because when something is expanding since that expansion, it began with a limit. It doesn’t matter the number of thousands and thousands of light years that this expanded universe has, or rather in expansion, it still continues having limits and beyond, the Nothingness still exists. There is a lot more to discover for the quantum physicist, the mathematician, the astronomer and all those who are fond of everything that has not been unveiled. It was also been said that at the beginning of the universe, not only space didn’t exist, but rather time didn’t exist either. There is a Mistake with this phrase! Error! And We can affirm it because time always kept existing. And will explain it because We are not interested in mysteries! -And How far the Chaos- that is to say, the Nothingness is extended? And there is the infinite. That is the infinite. A real infinite that mathematicians have approached theoretically, the same as the physicists have lucubrated it. It is an eternal infinite. Then we wondered the following question with you because each answer brought the next question, always trying to ascend one step more in knowledge. God is neither outside nor inside of the universe, in the sense of this same universe, we as Spiritual Entities are manifestation of God, the same as the alternative universes, the parallel universes, and the super-physical universes. We are part of God; that is to say, the universe doesn’t contain God. The universe is part of God. …And that led us to more questions. First: Is God also outside of the universe? And the other question: Where? And the second question: Is the Nothingness also part of God? Then we had an illumination simultaneously with you because with nanoseconds of difference we both received the information, – The answer can be wrong because we are spirits and we are fallible! – God is in the universe and God is beyond the universe and He is contained in the same one. The second question was: Is the Nothingness also part of God? God is Love; it would be one of the answers. The Nothingness doesn’t contain Love. The Nothingness, literally speaking, doesn’t contain anything. Then is it outside of God? Isn’t a contradiction? An absurdity because God is the Absolute, the same word says it, He is synonymous of Infinity. Beyond the Infinite there is nothing. But the same sentence is saying it! Because most of the beings don’t know how to lucubrate between lines. Beyond the Infinite there is nothing. What if the Nothingness is something? And we will object such a paradoxical sentence. Beyond the infinite there is nothing. Perfect, then beyond God there is Nothingness, the thing the universe is expanding over. When the universe contracts, the Nothingness is there once again; that is to say, the Chaos. What reigns in the Chaos? Disorder like most of the people say? Why would there be disorder if there is nothing? Then our answer for the time being is, and it is a temporary answer because we are investigating, or at least I have that nucleus that makes me investigate. It doesn’t prevent me from being helpful to others, but each spirit has a characteristic, and since I have the humility to realize that a conceptual single nucleus sometimes is not capable to lucubrate everything, We united the concept to the conclusion that God is manifested in this universe, in all the alternate universes, in the parallel universes, in the super-physical universes and at the same time is outside of Everything contained in himself. But beyond God there is Nothingness because I repeat it: God is Infinite, because he embraces Everything. Beyond the Infinite there is nothing. I take it as an advantage to transmit the conceptual language to the spoken language in the physical plane. If there is nothing, it means that the Nothingness exists beyond the Infinite. A Nothingness still dark, not dark from light, but dark from knowledge, dark from investigation, unexplored… We as spirit and you as incarnated beings have the habit of calling dark to what you ignore, to the vague things, to the distant things, to the cloudy things, and that is the Nothingness. That is the true Chaos. A Chaos on which it is necessary a lot more for us to investigate. A Chaos that was there from the origin. Then there is another question. Everything is cyclical and you developed a strip, which is a hypothetical strip that twisted and bounded has hypothetically infinite surface – I say hypothetically because it is not like that -, it is a tricky surface, the well-known Alpha and Omega (Infinity). Infinite in the sense that one can travel over it all the time and one never reaches the end. Time is like the Infinite, some “sages” explain, researchers, physicists, mathematicians… Will there be a moment throughout billions and billions of years when that last Big Bang fits, as if it were a cog, with the first Big Bang? Because if it is so, there would not be Creation. And if there is no Creation, When was God manifested? In which moment did God appear? God is manifested in this universe with all the alternatives. Parallel universes, alternate universes, super-physical universes. He created Elohim, they created spirits, elves, goblins, angels, etc. Then a Creation exists. Then, there was a beginning, there was an origin. Then the famous theory that the universe doesn’t have a beginning and an end is false! It is not real! There was a beginning! The issue is to know how to interpret the thought of God well and a lot of people don’t know how to interpret it on this world and surely in other worlds don’t know it as well. Otherwise, He would not be Creator and He would be limited because He would be always along at the universe. Then there was an origin, there was an initial Creation, and here the question arises because to every intrigue, to every doubt, the question is mandatory. What was it before? Or was God alone? That is one of the unresolved questions, because a long time ago that at the beginning There was the Nothingness and the Whole. At the beginning there was the Nothingness (The Chaos) and the Whole (God). That is to say that God was there and the Nothingness also. In a certain moment for some reason that we still ignore, when We say that you still ignore, We mean that you will not always ignore it – God decided to show himself over the Nothingness, expanding himself over the Nothingness, becoming Infinite over the Nothingness. From now on, the word “Chaos” with capital letter will be used to mention what is beyond of the Creation of Eon. The word “chaos” with lower-case will be used when the meaning is related (disorder or confusion). The words “Whole” and “Everything” with capital letter will be used when they are referred to the (Creation of Eon) which includes the physical universe manifested, the parallel universes, the alternate universes and the super-physical universes along with all the super-physical entities. The words “whole” and ”everything” with lower-case will be used to refer only to the physical universe as all, totality or continuum, since the scientists only mention the physical universe in this way, therefore, these terms will be used when they are related to the entire physical universe without keeping in mind the rest. We have the codes of compassion in our DNA and higher dimensional tools are being given to us to enable us to achieve compassion. You may already be wondering where the “physical” and “spirit” is located. As, the mental, emotional, physical, and spirit aspects of life are the four dimensions of your existence. That every thing you experience, including your-selves, exists simultaneously in two places; in a physical world and in a spiritual world. This means you each exist simultaneously in two bodies; in a physical body and in a spiritual body. That while you exist in these two worlds and two bodies, you express what you experience there, simultaneously, in two languages. You express it in the language of thought (the kind of information the spirit body senses), and you express it in the language of emotion (the kind of information the physical body senses). Notice We are using the words physical and spiritual to refer to the “worlds” and “bodies” and thought and emotion to refer to the “languages.” Why make this distinction? Why not just treat these things as the four ways we view of our life experiences? We use the words physical and spiritual to refer to the “worlds” and “bodies” because the words physical and spirit refer to where you exist. In essence, these two words simply refer to the two “realms” you live in, both on the societal scale (as in the two worlds) and on the personal scale (as in the two bodies). Further, We call these two words “realms” because they each have their own completely different and yet, complementary set of natural laws. The words thought and emotion, on the other hand, do not refer to where you exist but rather to what you sense about where you exist. Thus, We call these two words “languages” because together, these two words refer to the essence of everything you do to “inform” yourselves and others of what you have experienced. And like the two worlds and two bodies that inform you , that each language is unique, in that each informs you of what each in the you in the self’s experience is only one of the two worlds and in only one of the two bodies. As for which is which, as We simplify, thought informs you of what your spirit body has sensed (meaning, your mind’s experiences of your world) and emotion informs you of what your physical body has sensed (meaning, your body’s experiences of your world that the physical form is expressing It-self in the ‘Experiential Plane’). In this context, then, these two languages are the foundation of all you consciously experience, and the Information Continuum is just a way to validating your truths. Each one in the Collective is validating their truths individually as perceived separate, only as individuals in form, a part of the ‘Whole’ collectively in the ‘One’ each individual person consciously experiences, internally and externally, in the present, not past or in some futuristic . How consciously you experience each of the two worlds and each of your two bodies. Representing the balance between the two experiences; whether you consciously sense one world more than the other or whether you sense them as ‘One’. How conscious you are within, determines your perceived separateness. Each of the two worlds can be very useful to you as an individual unique and complete a whole-some-being, the “balance” between the you and the self is that you believe on the contrary that you are you, and the self is who you are seeking and trying to be? Before answering this question, We will continue in the part two of this channeling what We call, the two that is one. We leave you with some reflection: ” A Drop of Ocean, Is No Less Ocean”.